See Tab Below "Individual Universal Adapters" to achive the exact look you want. If you want more than one length or thread type you MUST add them via an ADDITIONAL product and NOT via the "Qty" box below. 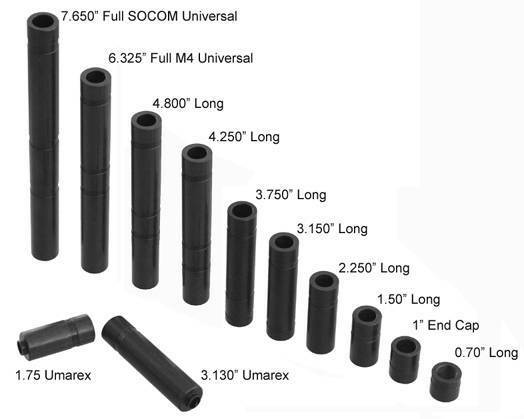 The $35.00 price is a base for all long and short adapters. You will be required to choose from the "Individual Universal Adapters" drop down list (see above) as to Length & Thread Size. On this list most of the adapters are at no added cost to the base of $35.00. When you see the $10.00 (or other) that appears after the thread style... this is the ADDED / EXTRA amount you pay in addition to the base $35.00.